In the operation of an industrial process, there can be any number of reasons for analyzing water quality. Safety, regulatory compliance, operating efficiency, and process control are a few of the broader categories. 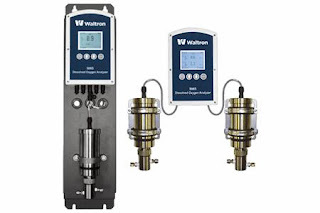 Waltron has been an active participant in the water chemistry and analysis field for over 100 years. The company's focus started with boiler feedwater and has expanded over many years to include online analyzers for process water in a broad range of industries. Waltron process water analyzers provide ease of use, minimal maintenance, and a low service life, delivering a low total cost of ownership. Various technologies are applied, providing specific and accurate analysis for a range of contaminants in ultra-pure, industrial, or drinking water systems. Included below is a short version product line sheet, showing the company's line of analyzers. Share your water quality monitoring challenges with a product specialist. Incorporating your process knowledge with their expertise will produce the best solution.